Glass packaging plants are amongst the largest consumers of compressed air in the world, and these plants need to know how to save on energy and costs. During glasstec we spoke to two key people from VPInstruments, a supplier of flow meters about their work with container glass manufacturers. In an average glass packaging plant the need for air can easily exceed 30,000 to 35,000 Nm3/hr. With such volumes, compressed air accounts up to 30 per cent of the total electrical power consumption of these companies, and it makes sense that this is a main priority. VPInstruments supplies its flow meters to measure the production and consumption of compressed air to container glass manufacturers globally. These plants produce millions of glass containers per year, using compressed air to drive the glass blowing machines and to blow liquid glass into moulds. VPInstruments equipment provides insight into maintaining efficiency in the machines and compressors as well as to quickly detect any compressed air leakages. Flow meters can be placed on each compressor, as well as on the main lines to, for example, to the bottle-blowing machines. 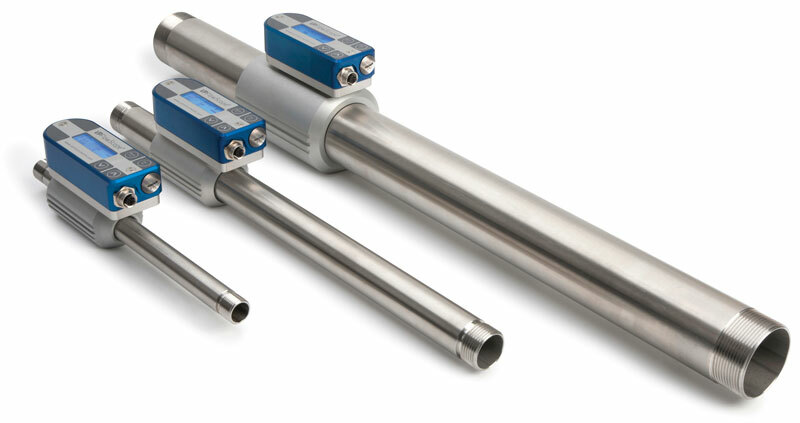 There are flow meters that monitor the production and consumption of air. The data retrieved is logged in a system that also keeps track of gas, power and water consumption. This can provide a wealth of data that can be used to develop new energy savings measures. The efficiency of compressors can be monitored by comparing the amount of compressed air produced with the power consumption. As soon as a compressor shows a drop in performance, the root cause can be located; for example an issue with the cooling system or a fouled inlet filter. 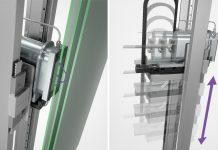 Using the same method the consumption of compressed air of the bottle-blowing machines can also be analyzed. Flow meters play a huge role in employee awareness about responsible energy usage. 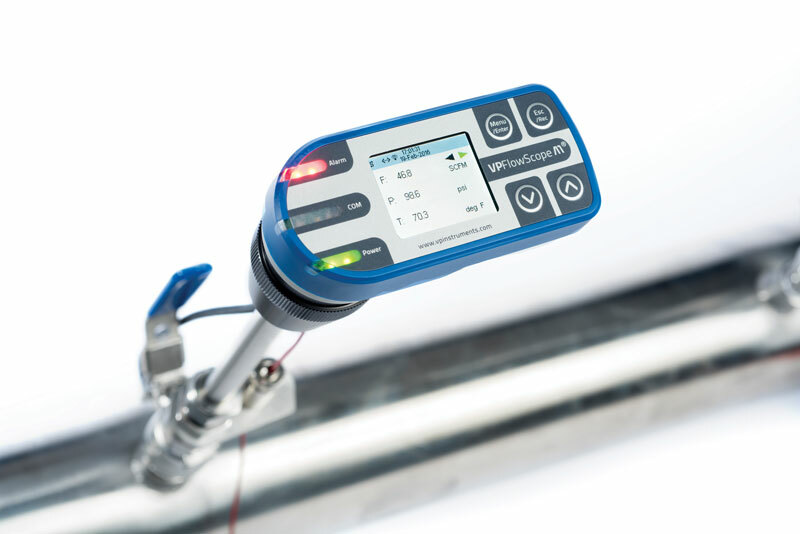 The great thing about flow meters is that they respond immediately to any changes in the machine settings and can be linked to other VPInstruments equipment that displays real-time data over a web interface. Insertion flow meters are easy to install without having to shut down the compressed air system. However, in order to have these meters take accurate measurements, a straight length of pipe before and after their location is necessary. 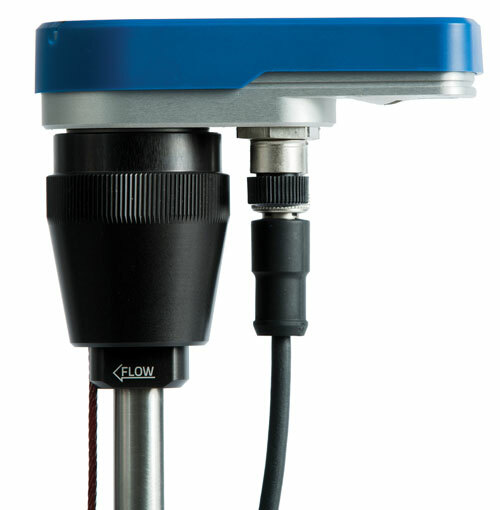 VPInstruments can help to determine which locations are best to install the flow meters at, in order to gain accurate and representative data. In the case of less ideal installation conditions, general trends can still be detected. Glass Machinery Plants & Accessories (GMP&A): When and why was the company founded? VPInstruments: The company actually started up in 1999, as a family-owned business, basically because – as a family – we had already developed flow sensor technology. My father, in fact, was one of the pioneers in flow sensor technology – the thermal sensor we’re using, and he invented it way back in the 1970s. So when we started up the company after my studies at Delft University, we started with a general purpose flow measurement device and, after a couple of years, we realized that there was a lot of interest from compressor manufacturers, which led us to focus on compressed air initially. Nowadays we do more than compressed air of course! So basically we are manufacturing audit tools for compressed air, to find out how the compressor is running, how much compressed air the plant is using, and what will be the correct combination of compressors for a typical manufacturing plant. And if you consider the many different sizes of manufacturing plants, you see that there is an incredible number of variables involved in the use of compressed air. If you don’t measure this air consumption you have no idea how to improve this system. VPInstruments: Yes. An example could be that sometimes you find out by measuring that the pressure of the air is going down significantly, and this might be due to a machine using too much air. So when you have this information you can do something about this – working on the control systems, for example. To enable manufacturers – and glassmakers in this case – to be able to solve these kinds of problems, we supply the tools, the software and the sensors, and we work together with energy consultants. Energy consultants, in fact, go into the factories and carry out assessments and permanent monitoring jobs, and they can then advise the clients on the next and correct step to take to get the biggest return on investment. And we are not only speaking about saving energy, but also saving time because if you know where the ‘problem’ is you can also save time on maintenance, as well as machine down time of course. Last but not least, improving machinery performance. Sometimes you can actually see when something is going to fail and so you can take action before it actually happens. GMP&A: Are you connected to companies that use your monitoring system, and do you give them remote assistance with regards to feedback? 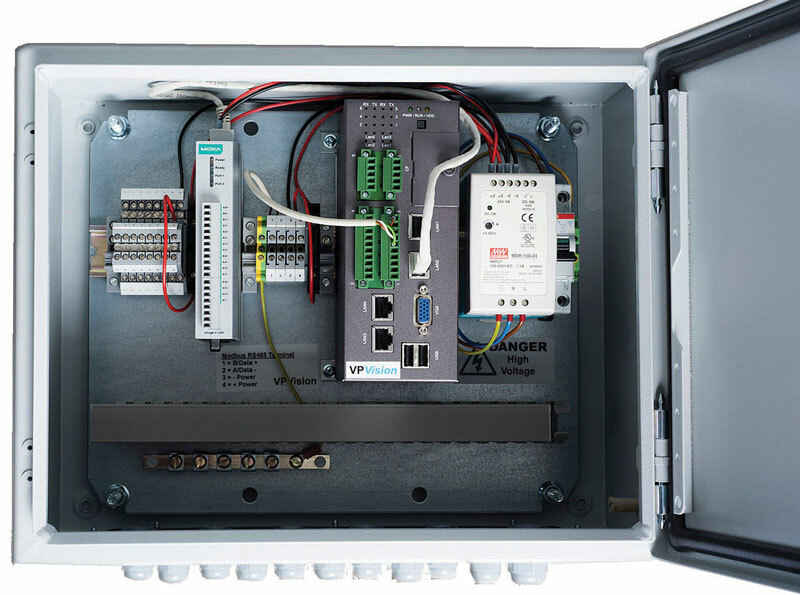 VPInstruments: Plants usually invest in a monitoring system that we offer, which provides software, alarms and alerts, or they already have this kind of equipment in place so that they just buy from us the sensors so that it can be used for compressed air applications. Some plants, for example, will invest in 500 measurement points, measuring the electricity consumption of machines, and then of course compressed air. GMP&A: How important is compressed air in a system? VPInstruments: In the glass industry, if you look at costs, the compressed air system is typically between 1 and 2 megawats. This would be about EUR 1.5 to 2 million out of an annual energy bill of about EUR 7 million. As a percentage it’s about 30 per cent of a normal electricity bill for glassworks. And even if you consider these important figures it’s still sometimes difficult to convince everybody within the manufacturing plant, because we are speaking about air – and air is considered as free, while it is actually the most expensive aspect. GMP&A: How do you convince them that it’s not free? VPInstruments: Sometimes people know or find out about it from published white papers or studies, and other times it can be because an audit company has come to measure the different flows around the manufacturing plant and you can see that the air is still being used even at the weekend when there is no work going on at the plant. In that case you can convert this number into Euros per year, and talk about how to reduce these costs. Other benefits coming from these kinds of savings also include better ways of carrying out maintenance, also preventing machine stops. A lot of big companies now have global energy management programmes so if they have about 50 plants around the world they are aiming at doing benchmarking – they want to see if a plant is using more air than others and why. 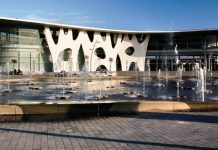 GMP&A: Why did you decide to come to glasstec? VPInstruments: This is, in fact, our first time at glasstec, because so far our focus has always been only on compressed air trade shows or those dedicated to energy management. But right now we are focussing on the glass market, because glass manufacturers are major consumers of compressed air. 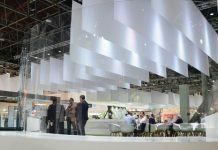 So, after being present at a smaller show in Europe last year, we discovered that glasstec is a show that you must attend. We have a lot of contacts from glass factories and it’s our job to convince them that they need to something about energy management –so far so good! GMP&A: What are you expecting from the show? What kind of results would you like to have from glasstec? 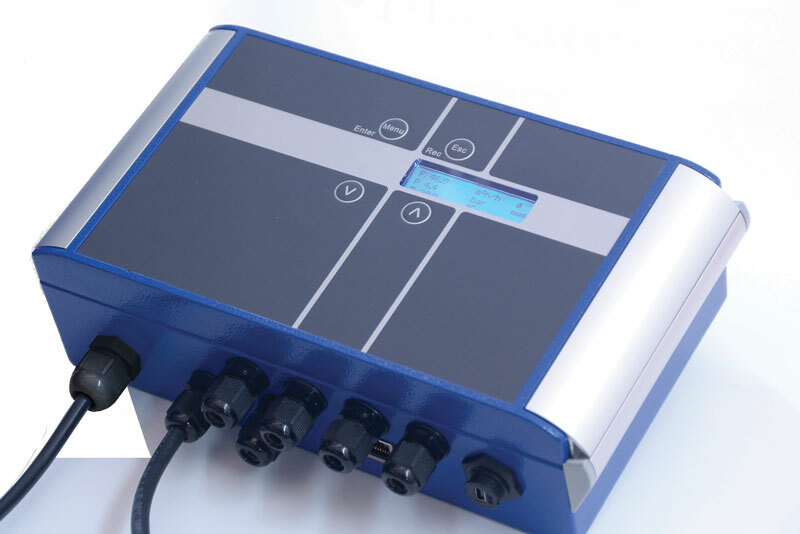 VPInstruments: First and foremost, more growth in our turnover of course, because, as we said, we have started to focus more on the glass market where we get a lot of larger-scale monitoring project from this sector, and there are still a lot more energy saving opportunities. We are hoping to get more of these projects in 2019, from other glass groups. We already work with a number of important glass groups, but there are still more out there that we can help with saving energy. So being at glasstec for us means to get our name out there in the glass sector. GMP&A: What about growth? How many people work for your company? VPInstruments: We have about 20 people working with us, and we also work with Delft University and some technical schools, which means that we often have the collaboration of students. 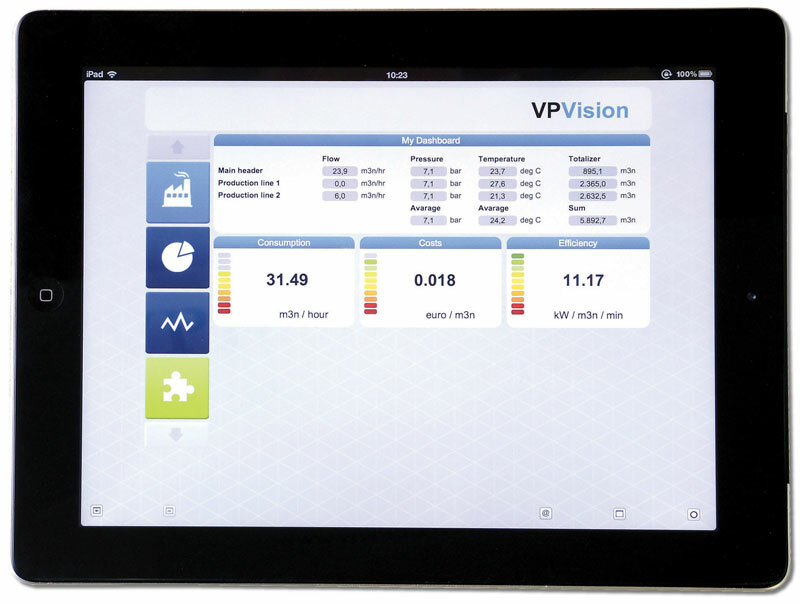 GMP&A: How do you see the future for VPInstruments? VPInstruments: I think we will have more projects going on in the glass sector but also in other manufacturing sectors too. Our sensors are – and will be used more and more to monitor the compressed air systems in these sectors. We are also looking into the use of vacuum in the glass industry, working with auditors to see what we can do. We hope to have something certain to say and show in 2019 about vacuum. And with the trend of Industry 4.0 there is so much demand for data that you need more sensors to provide this information – so the future is looking good for us!